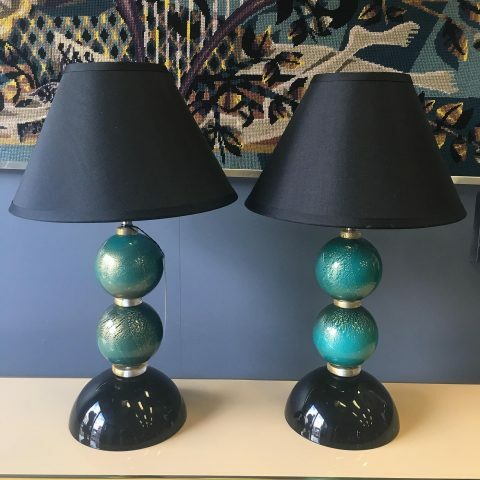 Pair of Italian Murano Glass table lamps from the 1990s. 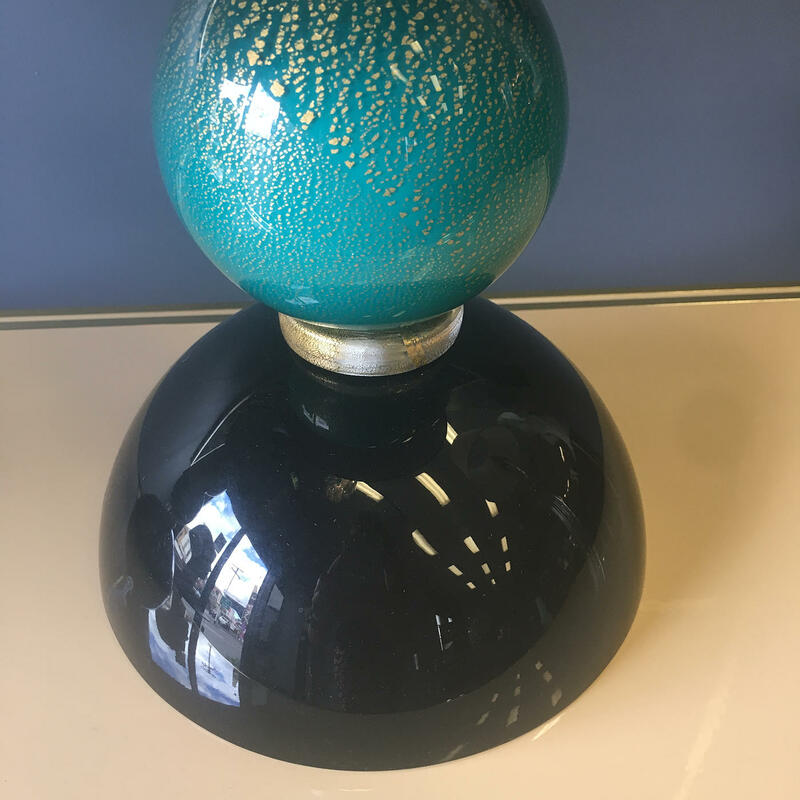 In Turquoise Glass flecked with gold and black bases. 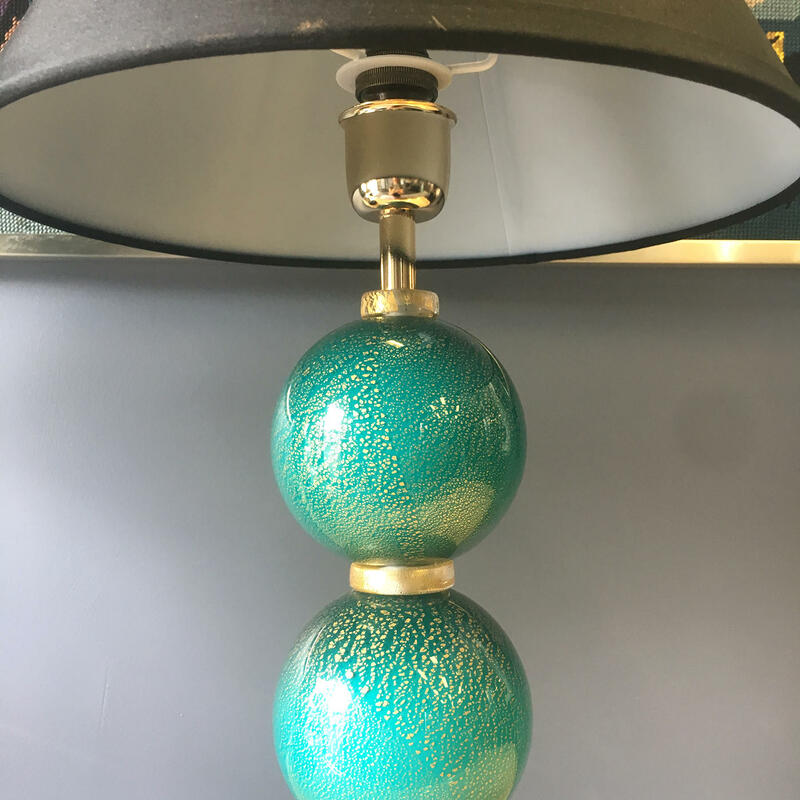 Perfect for the bedside or in the lounge.